Summer’s just around the corner, but there’s a cool change coming to Perth. 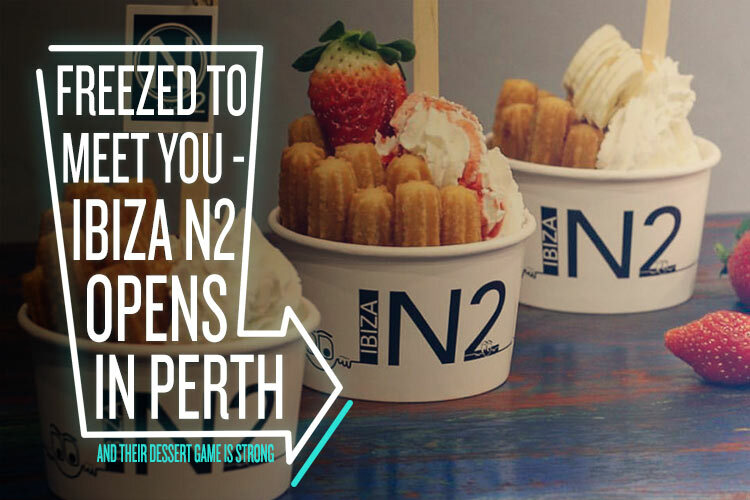 Ibiza N2 has just opened in Mount Lawley, and they’re serving up some in-cone-ceivably delicious nitrogen gelato. The hottest trend in frozen desserts, this gelato is flash-frozen right in front of your eyes – so you know it couldn’t be fresher! And watching the N2 crew pouring the liquid nitrogen into the mixers and seeing the mist rise out of the bowl is all part of the experience while you wait. But it’s not just an ice display. With flavour combinations like crunchy nut and salted caramel, and the classic hazelnut and chocolate, this gelato tastes freezin’ amazing. 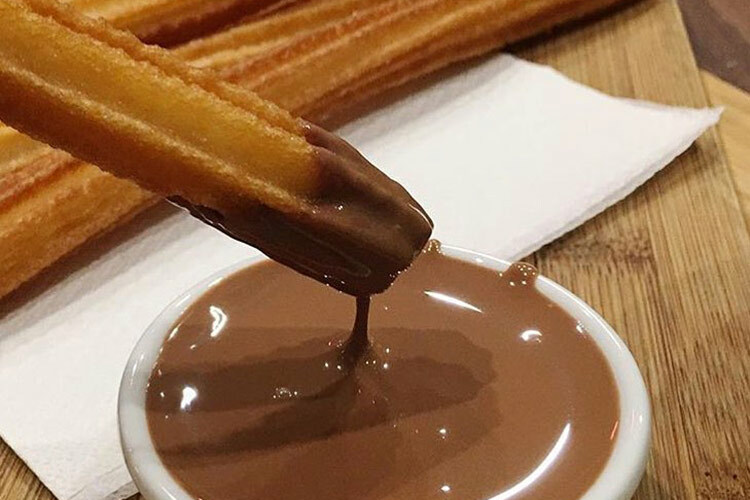 Served up alongside their other dessert offerings – like cakes, churros and Belgian hot chocolates – Ibiza N2 ticks all the sweet boxes. We had a chat to owner Ahmed El Rakaawi Tolba to get the scoop. Cup or cone? Why not both?! Hi Ahmed, thanks for taking time out of your busy day to talk to us. Can you tell us a bit about how you got involved in the gelato-making business? In the mid-1990s during my student period, I used to spend my summer in Ibiza (Spain), and to make some money as a student I started nitrogen (N2) shows in the clubs of the island. At that stage, it was mainly cocktails. Later on, we developed an ice cream catering service on board luxury yachts. Wow – that’s quite a history! 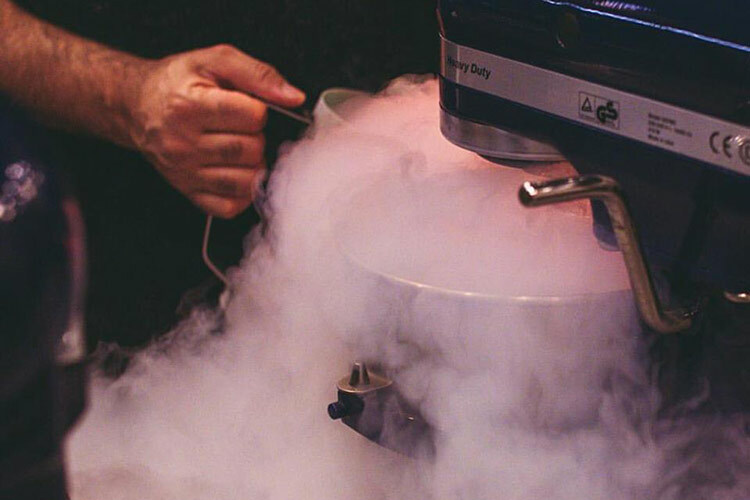 Your gelato-making process is really unique. Can you tell us a bit more about what’s involved? We have over 500 recipes, and an amazing combination of gelato – it involves a lot of passion and dedication to create and produce a premium-quality gelato. The logistics behind our product are quite complex, as we get our products from all over the world. Managing the nitrogen supply was and still is the most challenging aspect! 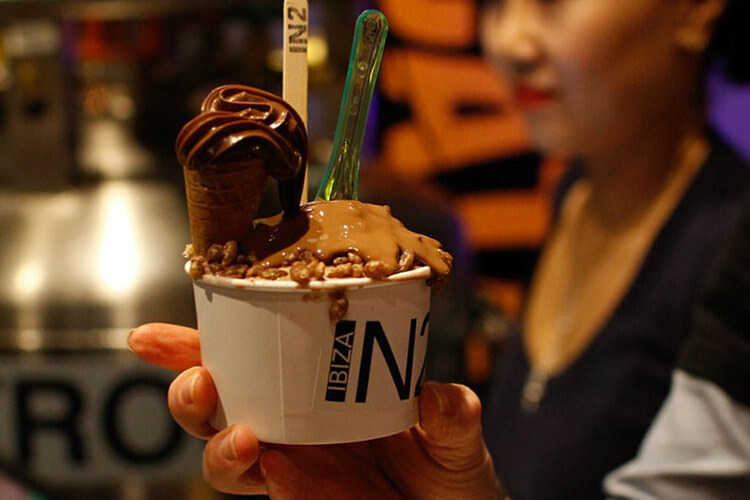 Ibiza N2 uses nitrogen to make their gelato. Fancy! Where do you find inspiration for all your amazing flavour combinations? Travelling and loving what we do is the fuel for our inspiration. What’s your absolute favourite gelato and topping combo? It’s hard to decide which flavor is my favourite, as it varies from season to season. Nonetheless, at the moment I love the halva and pistachio. Sounds delicious! What exactly is the difference between gelato and ice cream, and why do you prefer gelato? Gelato has much less fat content than ice cream, making it softer and lighter. Is it possible to make good gelato at home, or should people leave it to the pros? Hmm, that’s a tough question, haha! I think it’s possible to create great gelato recipes at home, but the lack of equipment will definitely affect the final result. Where do love to go for a fantastic pre-gelato meal in your area? Miss Potz is one of my faves at the moment! Ibiza N2 can be found at 627 Beaufort Street, Mount Lawley. For delicious updates, check out their Facebook page.